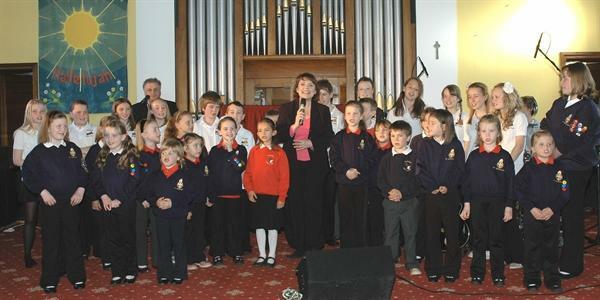 On Friday 7th May 2010 we were invited to join Dana at Seahouses Methodist Chapel for an evening ofsong and entertainment. Dana requested that our children sing songs with her and on their own. 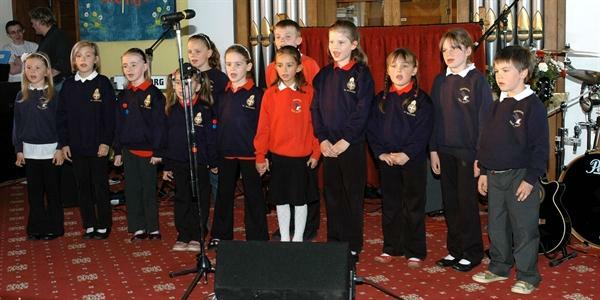 We sang two songs on our own, then we joined with Seahouses Middle School and the Girl's Brigade to sing further songs. It was a brilliant show and the evening ended with everyone singing Dana's Eurovision song contest winning song "All kinds of everthing". 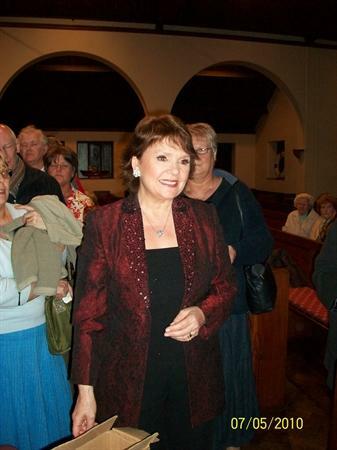 Dana signed autographs and personally wrote to congratulate our children on their singing.